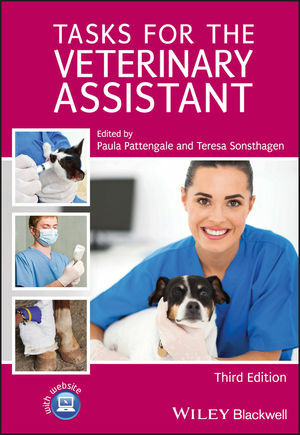 Tasks for the Veterinary Assistant, Third Edition provides practical, step-by-step instructions for preparing and performing a wide range of veterinary assisting tasks. With expanded coverage of large animal and exotic restraint, anatomy and physiology, nutrition and feeding, digital radiography, and electronic medical records and client communication, this revised edition now includes why and when to perform each task with the preparation and procedure information. The book includes everything from appearance and professional language to equipment maintenance and dental and surgical assisting, making it equally useful for learning new techniques or as a memory refresher. Offering a detailed, comprehensive guide to all aspects of veterinary assisting, the book is written using an accessible, user-friendly style. A companion website offers figures from the book, downloadable flash cards, lesson plans, exams, a competency checklist, and concept maps. Tasks for the Veterinary Assistant is equally useful for acquiring new skills and gaining confidence in the veterinary practice, making it invaluable for veterinary assistant students and veterinary assistants of all experience levels. Paula Pattengale, DVM, MA, developed the Veterinary Assistant program at North County Regional Occupational Program in San Jose, California and Mission Valley Regional Occupational Program in Fremont, California, USA. She is now retired from teaching. Teresa Sonsthagen BS, LVT, is a Co-director and Senior Lecturer in the Veterinary Technology Program at North Dakota State University in Fargo, North Dakota, USA. She is an author of other veterinary technology textbooks and has been educating veterinary technologists for over 30 years.